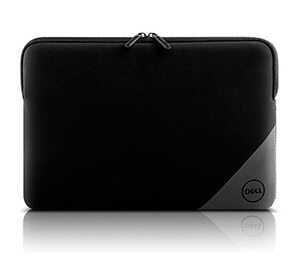 Dell Essential Sleeve 15 (ES1520V)Slip your 15-inch laptop into the durable and water-resistant neoprene sleeve for a snug and secure fit. The brushed Nylex interior lining protects your laptop against bumps and scratches, while the wide sleeve opening lets you easily and smoothly load and unload your laptop. 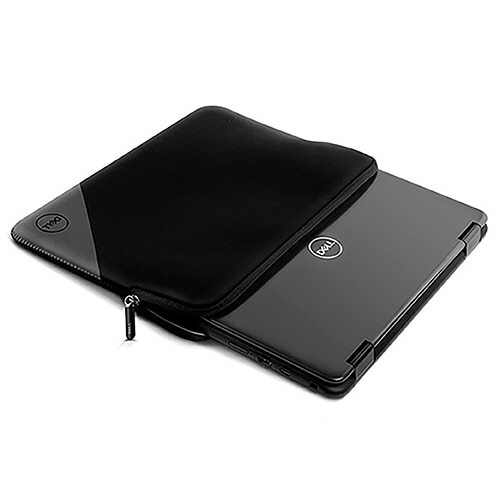 The top-loading double zipper design glides smoothly, allowing for easy and convenient access to your laptop computer. 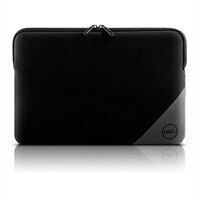 Dell Essential Sleeve 15 (ES1520V) features water-resistant protection that’s perfect for traveling with your laptop. 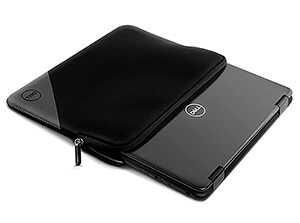 Slip your 15-inch laptop into the durable and water-resistant Dell Essential Sleeve 15 (ES1520V) for reliable protection wherever your busy day takes you. 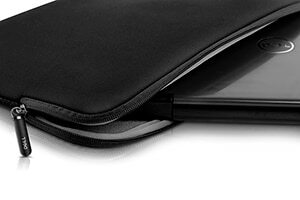 Designed to fit snugly and securely, the neoprene sleeve, with soft, brushed Nylex interior lining, protects your laptop against spills, bumps and scratches. 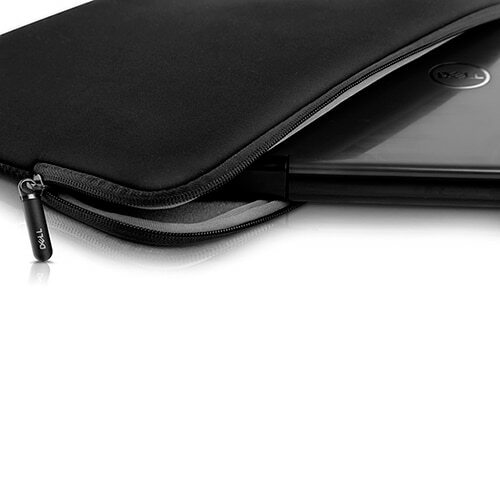 Slip your 15-inch laptop into the durable and water-resistant neoprene sleeve for a snug and secure fit. The brushed Nylex interior lining protects your laptop against bumps and scratches, while the wide sleeve opening lets you easily and smoothly load and unload your laptop. The top-loading double zipper design glides smoothly, allowing for easy and convenient access to your laptop computer.